Globally, there is increased concern of the potential impacts of extreme climate events and their impact on loss and damage of people, assets, and property as a result of these events. Therefore, natural partners in using climate services to assess risk are the Global Insurance Sector, who are key implementers in increasing societies resilience and recovery of extreme events and who are integral, co-design partners in this programme. More info. The objective of TWIGA is to provide currently unavailable geo-information on weather, water and climate for sub-Saharan Africa by enhancing satellite-based geo-data with innovative in situ sensors and developing related information services that answer needs of African stakeholders and the GEOSS community. The concept is a systematic feedback loop to reciprocally validate in situ measurements and satellite data in one integrated model. Over 500 in situ measurement stations using citizen science. Building on and pushing further recent advances in sensor and communication technology to provide cheaper and more robust in situ measurements covering a wider area at a higher resolution in sub-Saharan Africa. Working with tech-hubs in Europe and Africa to feed the creation and growth of European and African start-ups that develop sensors and geo-services, delivering complete value chains from sensor to customer-ready information delivery. More info can be found on the website of TWIGA. 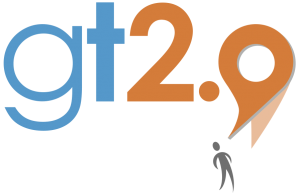 Ground Truth 2.0 builds on the strong existing social structures of citizens. The citizen groups and associations that are involved in the demonstration cases are: local communities closely working with the civil society organisation and consortium partners WWF and TAHMO (Zambia), outdoor enthusiasts and CSO (Sweden), weather enthusiasts and citizen scientists (The Netherlands), farmers, public schools, and outdoor enthusiasts (Spain), associations and members of the public at large who have an interest in safeguarding the quality of their local environment and more, specifically, the Youth and schools (Belgium), conservation organisations and tour operators (Kenya), local and (inter)national NGO’s representing citizens, farmers, schools, health workers, Youths and members of the general public via TAHMO. Moreover, the Ground Truth 2.0 consortium involves industrial player for mobile apps and system integration and five SMEs that contribute relevant expertise in earth observation technologies and market uptake, hydrologic modelling, data mining of human sensed data and back end services, social media analytics for implicit data sensing by mining social media in a wide range of languages and serious gaming for cooperative planning, web mapping and GIS services as well as limited liability and not-for-profit organisations (knowledge and technology providers) for data collection and visualisation, land-use modelling and remote sensing and mobile data collection, open source software, citizen feedback systems and web tools and low-cost weather stations (TAHMO). For further information please visit the Ground Truth 2.0 website.